I love it when I rediscover an old classic album... 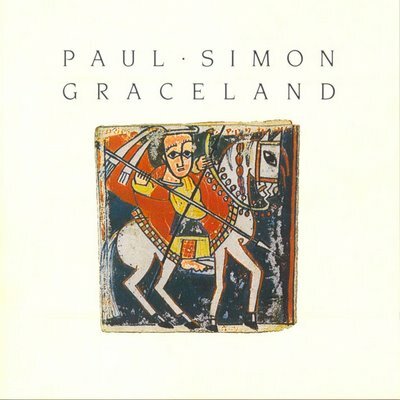 I did so today... when I found an old copy of Graceland by Paul Simon at my folks house. Released in 1986... its eclecticism is refreshing, vibrant and colourful - elements that I really value. There is also a synergy about it... it is more than the sum of its parts... which is refreshing considering the depth of collaboration & experience involved (53 musicians / groups are listed in the credits on Wikipedia). The African vibe that threads its way through the album is also refreshing. I think this album opened my eyes to "world" music... and helped me look beyond the previous "boxes" I held music within... albeit... this was many years after its original release. If you like Vampire Weekend then you'll love this... it is truly an awesome album. Check it out.